A facility in St. George’s will become a boxing centre named in honour of Bermuda’s only Olympic medalist Clarence Hill, the Government announced today. 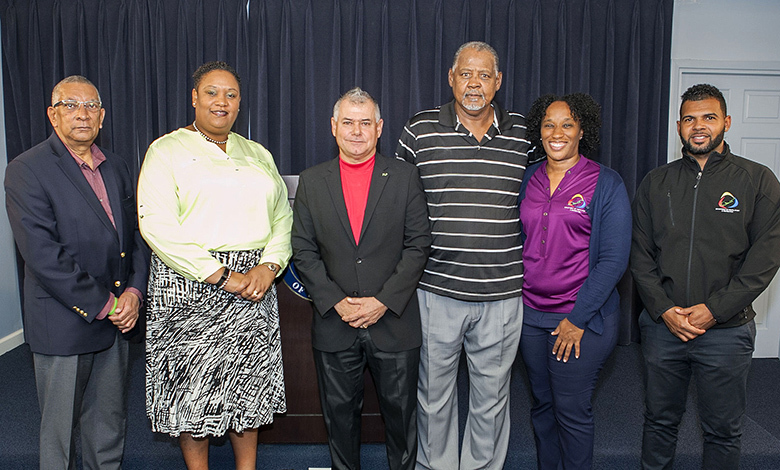 Minister of Social Development and Sports Zane DeSilva said, “Bermuda is a small island community of some 60,000 people. We Bermudians love sport, and for an island as small as Bermuda, we are well-known throughout the world due to the success of many of our athletes. “In the sport of boxing, Bermuda has produced many talented and successful boxers – Troy Darrell, Nikki Bascome and Teresa Perozzi, to name a few. “But today, I am very proud to be here with the only Bermudian to have ever received an Olympic medal to date – Mr. Clarence Hill – who won a Bronze medal in the Men’s Heavyweight Boxing competition at the 1976 Olympic Games held in Montreal, Canada. “So in terms of a Bermudian who has truly ‘punched above his weight’ – pun intended – I am honoured to recognize the accomplishment of Clarence Hill all those years ago. “29 years after winning the bronze medal, Clarence was inducted in the second group of athletes to be named in the Sports Hall of Fame. “In order to give Clarence further recognition of his magnificent achievement as the first [and only, to date] Olympic medal winner, this Government has decided to make available a facility in St. George’s, which will become a boxing centre, named in honour of Clarence Hill. “Accordingly, with the support of St. George’s MP Renee Ming, the Ministry of Social Development and Sports, and the Ministry of Public Works, represented here today by Minister Colonel David Burch, have entered into a Memorandum of Understanding whereby permission has been granted for use of the property known as “The Catterick Building”, Units 31 & 32, located at 12 Old Military Road, St. George’s exclusively for the development of a Boxing Institute & Gym as an initiative under the Department of Youth, Sport and Recreation in partnership with the Clarence Hill Foundation and the Bermuda Boxing Association. “The property will be granted on a charitable sub-licence to the Bermuda Boxing Association for a nominal annual rent. “It is envisioned that Clarence will be a positive inspiration to our youth interested in the sport of boxing, and hence it is fitting that he be assisted in this initiative to establish a boxing programme at the east end. “He was inducted in the second group of atheletes to be named in the Sports Hall of Fame”. He should’ve been the first name in the first group. Pathetic, but better late then never. Do you know Clarence Hills history during and after sport? Might shed some light on why something like this took so long and why people may have been hesitant to see it happen! Amazing the things certain people are able to totally overlook , or be completely unaware of . Congrats to Clarence.Well done Minister Zane and PLP. Better late than never … Long overdue , so congratulations Mr Clarence Hill ! Yeah except this project began under the OBA tenure. Mr. Desilva is totally disingenuous in not admitting that. Disingenuous???? Why would you expect anything different? Minister of Sports and Social Development. Smoke de herb and get a humble charge. Sfh. Congratulations Clarence, well deserved! So long overdue! Well done and well deserved Mr. Hill.. I have always given you the respect you so deserve when ever I see you. DeSilva taking credit for something he didnt do or think of…so pathetic! That’s nothing. Just wait till opening day of the new airport & see who is there huffing & puffing around. @factsoftherock please do tell; was there supposed to be an Opposition Minister making the announcement? You do realise that PLP are the Government of the day right? @curious does it matter which Government started the project? The comments are just petty. Great post! Better late than never. Long overdue, so congratulations Mr Clarence Hill! You deserve all of this! Amazing post so interesting to read!